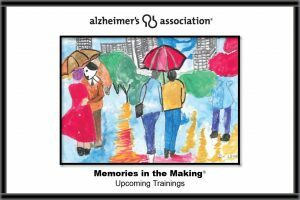 ­­Memories in the Making is an evidence based fine art program that is endorsed by the Alzheimer’s Association. Through the MIM program we celebrate each person’s capacity to move from self-definition tied to their diagnosis, to an extraordinary person capable of accessing internal resources and creativity. MIM is a method of inspiring, assisting, and encouraging those with Alzheimer’s Disease and other forms of dementia to express themselves by creating original art. I hope that you will consider joining us on February 17 for the training that will get you ready to facilitate your own MIM sessions at your facility. The training is free and is from 1:30-4:30 pm. 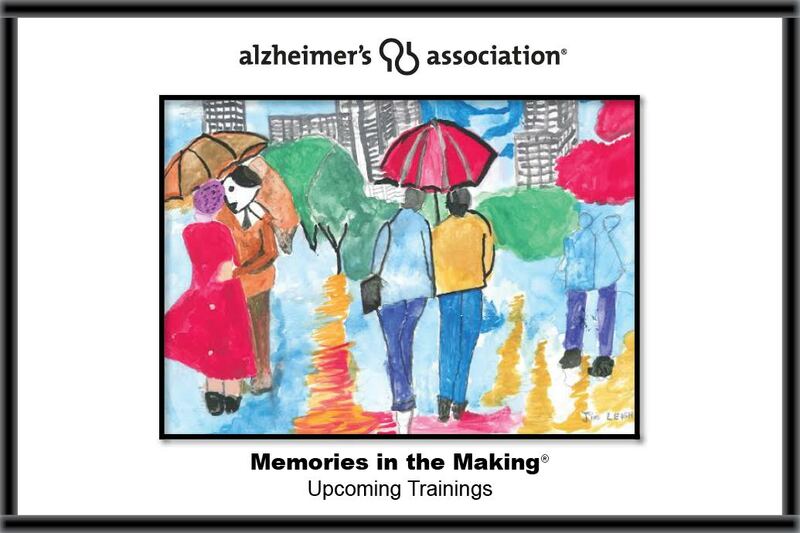 If you decide to join us, please RSVP with Matt Gannon at mgannon@alz.org or call at 503-416-0206.